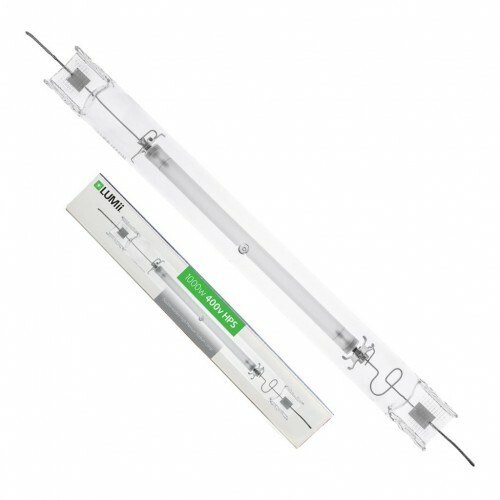 The LUMii 1000w 400v Double Ended Lamp represents great value-for-money, whilst boasting higher UV and IR light than traditional single ended lamps of the same wattage. This lamp is perfect for use in the flowering phase of a plant's life cycle, as this lamp gives off high levels of PAR light that plants simply love when deep into bloom. High PAR value of 2100 umol/m2/s - as much useable plant light as the sun at midday!